It’s just over a week to go to the EU referendum, so I thought I’d jot down a few thoughts. To begin with, let me say what this post is not. I will not tell you how to vote, or try to persuade you which way to vote. And I will not tell you which way I will vote. There are, however, a number of things which need to be said. The first is that, by and large, the conduct of both sides has been utterly appalling. That doesn’t apply to every individual involved in either campaign, and very many of the grassroots activists on both sides – of which I count many, again on both sides, as friends – have been doing their best to argue their cause in a reasonable manner. But, still, many of the headline claims made by the leaders of both sides are, at best, pure speculation dressed up as fact or, at worst, outright lies. On the Remain side, the increasingly shrill warnings of economic disaster, rise in terrorism and imminent collapse of civilisation simply do not ring true. By all means, consider a worst case scenario. But a description of the most extreme possible outcomes has to go hand in hand with a realistic assessment of the risk. If it rains hard enough for long enough, my house could be flooded. We are on the edge of the “thousand year” flood zone. But, realistically, that is very, very unlikely to happen, at least in my lifetime or that of anyone I eventually sell the house to. The same applies to predictions of what might happen if we leave the EU. It could, theoretically, result in economic disaster. But just saying that it could is insufficient information. To be useful, that has to be part of an overall risk assessment with outcomes ranging from best case to worst case, and with informed and expert predictions of how likely all the various possible outcomes are. On the Leave side, the repeatedly bandied figure of £350m a week paid to the EU is simply false. And arguing that that’s the right figure to use, because it’s what we would pay if it wasn’t for the rebate, is meaningless. That’s like saying that if I buy a shirt from M&S at 30% off, I should still assess the cost on what I would have paid without the discount. My accountant would laugh at me if I did that. It’s also simply wrong to say that, whatever we pay to the EU, we could instead spend it on the NHS if we left. That disregards all the money that is currently spent by the EU on things within the UK. The absolute most we could spend on the NHS if we left is the total net cost of EU membership – which is a heck of a lot less than £350m a week. But even that disregards the possibility that leaving the EU may incur other costs which also have to be met. Realistically, this is simply an impossible promise. The Remain argument that the UK would have to adopt something like the “Swiss model” or the “Norwegian model” to get access to the benefits of the single market if we leave is equally specious. The UK has a population of 64 million, and a GDP of $2,768 billion (measured in USD as that’s the common unit of comparison). Norway has a population of 5 million, and a GDP of $513 billion. Switzerland has a population of 8 million, and a GDP of $685 billion. In other words, the UK has a population nearly five times that of Norway and Switzerland combined, and a GDP more than double their combined total. If we leave the EU, we will not need either a “Swiss model” or a “Norwegian model” in our relationship with the remaining EU. We will have a “British model”, negotiated to take account of our economic and population strength. We can’t say for certain what this will look like, but we can be sure it won’t look like anything which currently exists. On the other hand, leaving the EU will not solve our immigration “problem”. Quite apart from the fact that it is far less of a problem than many people believe – there is absolutely zero evidence that immigrants are squeezing local-born people out of the employment market, for example – the reality is that EU migration is still lower than non-EU migration. Given that many EU migrants would, if we were not part of the EU, fall into the same categories as the non-EU migrants allowed to come here and would therefore continue to be allowed to come in the future, the idea that we could make a sizeable dent in immigration by leaving is laughable. And that’s assuming we won’t negotiate an agreement with the EU which includes free movement of labour anyway. I strongly suspect we would, because overall, it would be beneficial to us to do so. If we disregard the guff from both sides (and there’s an awful lot of it to disregard), though, what are we left with? Can we, as some suggest, make our decision based on the identities of those arguing for either option? The answer to that is “no”. I’ve previously argued that, when it comes to a general election, you can’t just vote for policies – you have to take account of the perceived competence of those who will implement them as well. But a referendum is the complete opposite. No matter what we decide, we will still have the same government the day after the referendum as before, and we will still have the same options at the next general election. Voting Remain because you dislike Nigel Farage, or Leave in order to snub David Cameron – or vice versa – is the worst possible reason for making your decision. Voting Leave will not put Ukip in power. Or Jeremy Corbyn, for that matter. Voting Remain is not an endorsement of the current government. The decision we collectively make on 23rd June 2016 will have an effect long after all of us currently active in politics have retired or died. Casting your vote now on the basis of which set of faces you like the most is one of the most mind-numbingly stupid things you could do. So don’t do it. 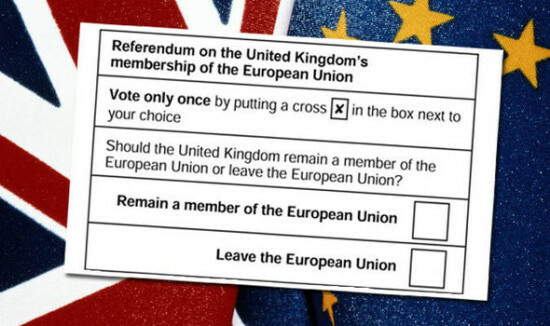 Making either choice is a decision based on what you, after giving the matter careful consideration, honestly believe is best for the UK in the long run. At least, I hope it is. And that means cutting through the dodgy headlines and looking beyond the faces to try and find the facts. I’m not, in the space of this article, going to try and give you the facts, beyond those I’ve obliquely referred to already. But I am going to make a few observations. After my comment on the behaviour of the campaigners, the second most important thing which must be said is that the EU is badly broken in a number of areas. That fact is, I think, beyond dispute. A full list would be far too long, but the economic sacrifice of Greece on the altar of the Euro and the mismanagement of the migrant crisis are two obvious examples. The question is not “Is there anything wrong with the EU?”. The question is “Can we fix it?”. In this context, I disagree with the criticism of Jeremy Corbyn for seemingly being lukewarm over the EU, or with Boris Johnson for dithering before coming out for Leave. In both cases, these are the actions you would expect of someone who recognises that there are strong arguments for both options, but that ultimately you have to make a choice between them. I’m not telling you which of Johnson or Corbyn you should vote with, but both of them make a better role model here than those who adopted a knee-jerk position for either Remain or Leave right from the off. The reality is that there are some very good arguments on both sides. Anyone who doesn’t recognise that simply hasn’t thought about the issue in any great detail. Equally, there are some very bad arguments on both sides. And the tragedy is that the campaign has seemingly focused on the bad arguments rather than the good ones. The EU is, as I’ve said, badly broken in many respects, and if it continues down some of those broken pathways it has the potential to do a great deal of harm. But it has also been extremely beneficial in very many ways, and the UK has gained a lot from our membership. Again, I will say that anyone who does not recognise the truth of both these statements has too little understanding to make an informed choice. Are the EU’s structural flaws beyond repair, or can they be fixed? In the long term – not just the next few years, but for the next generation – which option offers the best prospects for our economic security and freedom? Is a decision to leave influenced by the “grass is always greener” fallacy? Conversely, does a decision to stay reflect the sunk costs fallacy? Which decision will I be most proud of explaining to my children, and why? I’ll leave it to you to answer those questions for yourselves, or to pose others. I may come back after the vote and explain how I answered them.